As one of the voices of water.org, co-founder, Matt Damon encourages a vegan diet. Water.org is a wonderful organization that raises awareness on the increasing issues with regard to clean water around the world. The facts are daunting — Every 21 seconds, a child dies from a water-related illness; People spend 200 million hours a day around the world collecting water. Yet, people are wasting water each day by just eating animal products. Believe it or not, it takes a whopping 2400 gallons of water to create just one pound of meat, but only 25 gallons to grow a pound of wheat. Although Matt, himself, is not a practicing vegan, he made mention of the fact that he promotes the diet/lifestyle. “My thoughts on veganism are that it’s a wonderful thing to do. I just can’t do it. I tried” (http://www.ecorazzi.com). A part of me appreciates his honesty. The truth is: it is a difficult lifestyle to maintain, especially living in the US. But, it is all of the amazing benefits of this lifestyle that make it well worth it. 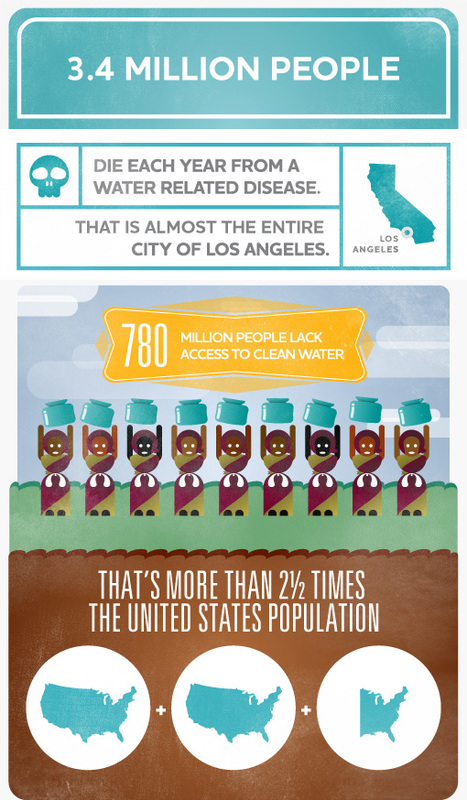 Check out some more information regarding the clean water crisis from the water.org website below. Water is such a precious resource. I’m glad that you posted this. Because we are so privileged here, as opposed to other countries, we tend to take these things for granted. Hopefully Matt’s involvement will shed some light on this issue and people will take this crisis more seriously. I definitely agree with you, Ana.